YEATS, Finn Elijah. (Finny). Of Carterton. On 21st January 2019 tragically in his 21st year. Dearly loved son of Tracy and Stephen, much loved brother of Safiyah, Angus, and Grace, and loved uncle of Ellie. Loved Grandson of Jan and Bob Thomas, and the late Colleen and Robert Yeats. Loved nephew, cousin and friend to many. In lieu of flowers a donation to the Robert Algie Memorial Sports Trust Inc, P.O. Box 699, Masterton 5840 would be appreciated and may be left at the service. 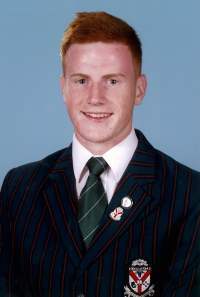 A service for Finn will be held in the Rathkeale College Auditorium, Willow Park Drive, Masterton on Saturday 26th January 2019 at 11.00am followed by private cremation. Messages to the Yeats family C/- PO Box 185, Carterton 5743 or may be left in Finn’s tribute book here at tributes. Tracy, Stephen, Safiyah, Angus and Grace wish to express a very heartfelt appreciation to relatives, friends, neighbours and work colleagues who supported them in various ways during their recent tragic loss of Finn. We are so overwhelmed by the abundance of lovely personal messages, flowers, food, phone calls, visits, tributes, and the presence of so many at the service. A special thank you to: Police and all who supported us as we searched for Finn and assisted us in bringing him home; to all who made donations to Finn’s Givealittle page, and the Robert Algie Memorial Sports Trust Inc; to Rev. Ben Arcus, Dale Waterhouse, Peter Hampson and the Rathkeale College family for their prayerful and practical support; and to the wider community to which we are proud to be part of, thank you for your support. We are comforted in the knowledge that Finn had touched the lives of so many caring people and as it is not possible to thank you individually please accept this as an acknowledgement of our sincere gratitude to each and every one of you.